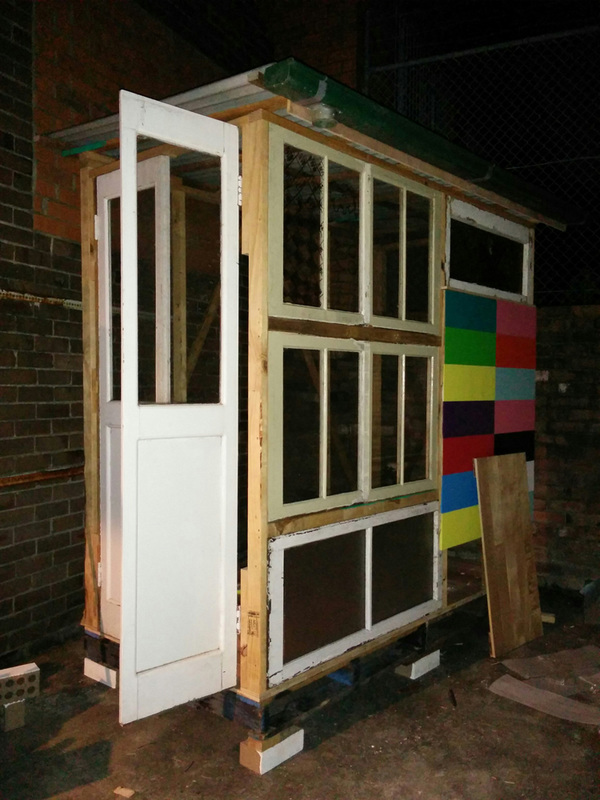 I am currently under taking a one year residency at AirSpace Projects. 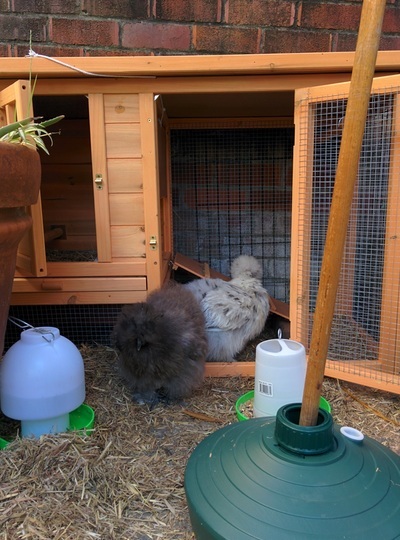 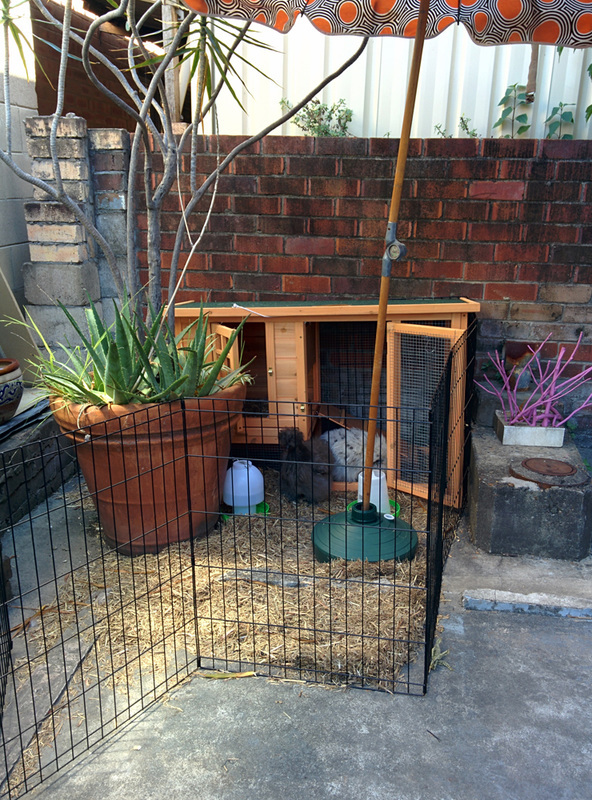 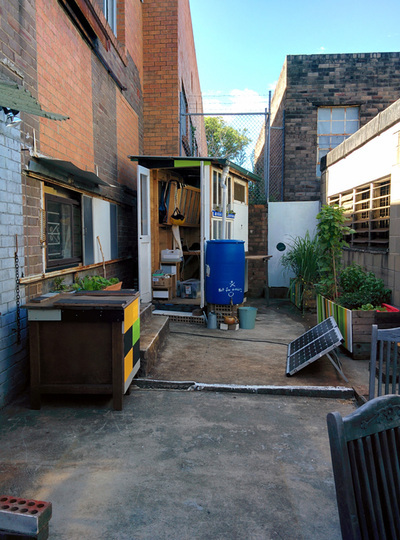 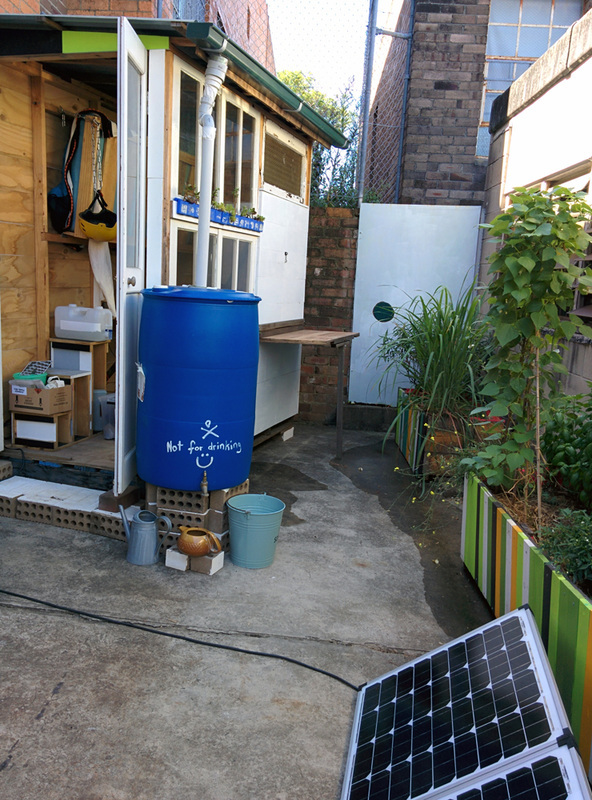 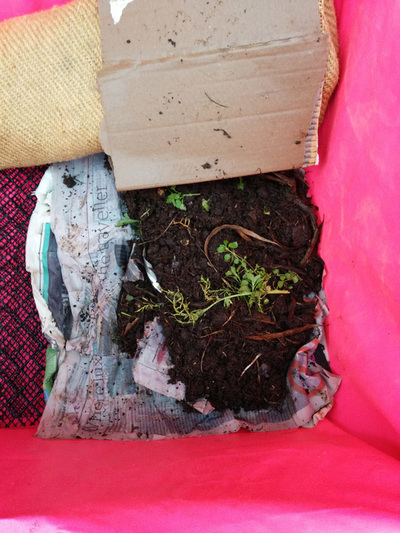 For this inaugural AirSpace Projects court yard residency, I proposed to create a sustainable veggie garden, worm farm and my third Girl Shed with added substantial roof for water catchment. 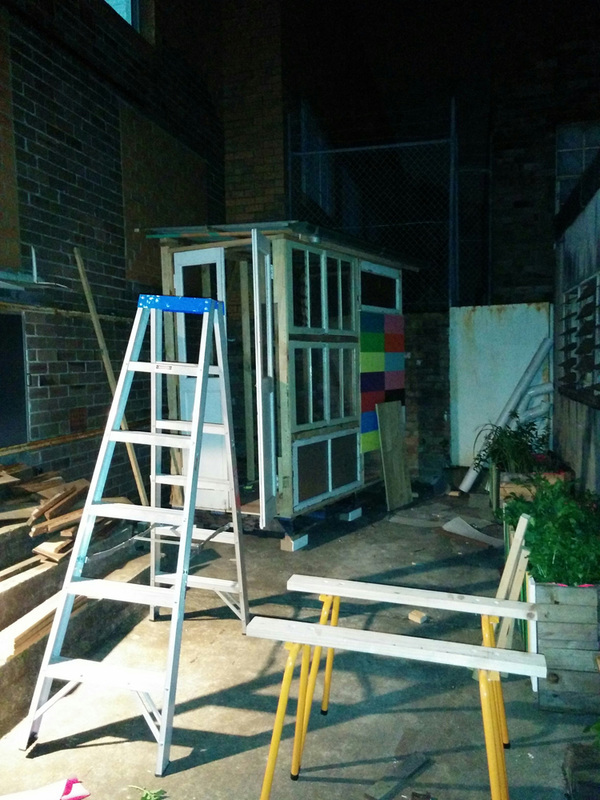 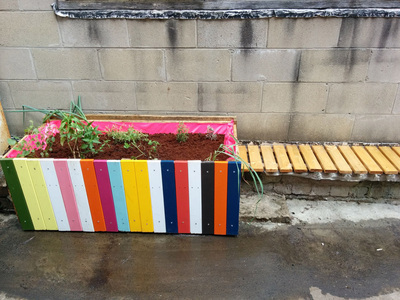 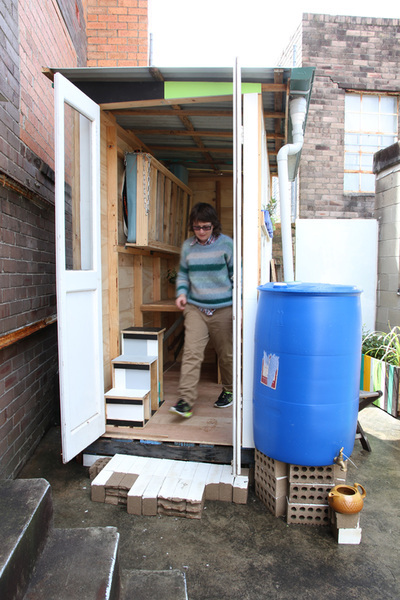 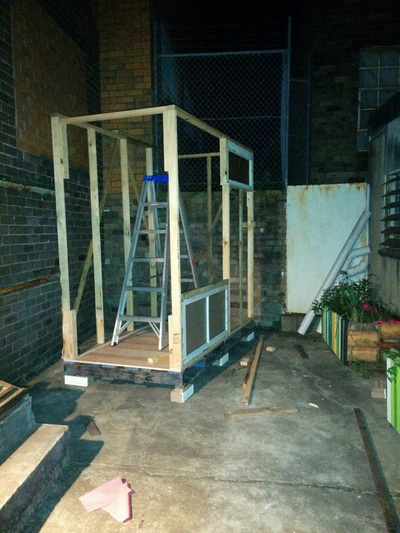 This project is an extension of my first/second Girl Shed projects which opened in December at Marrickville Garage and MOST open studio trail in March. 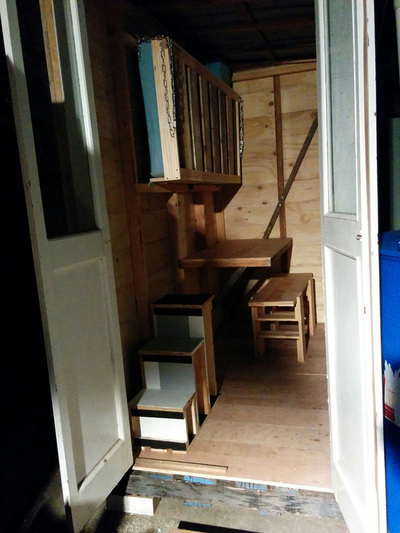 The shed extends my interest in the domestic as a site and primary source of research within my practice. 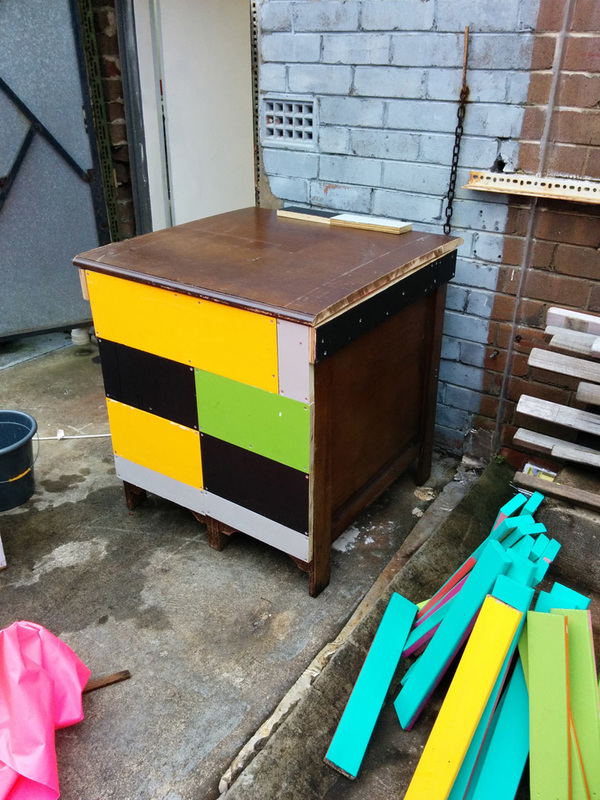 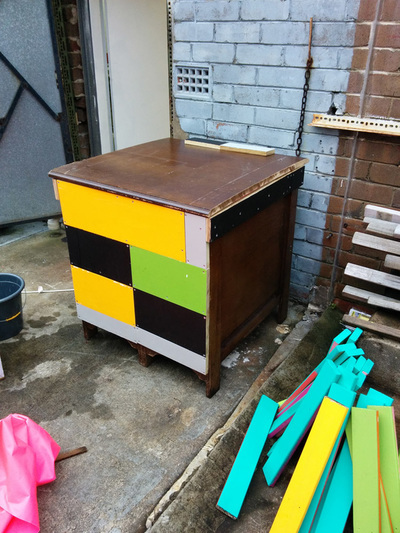 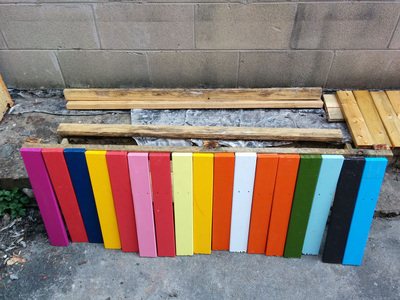 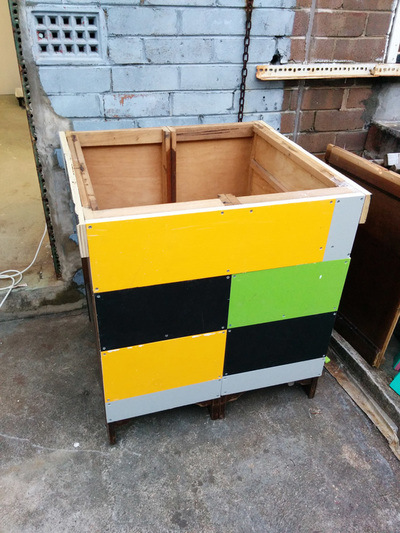 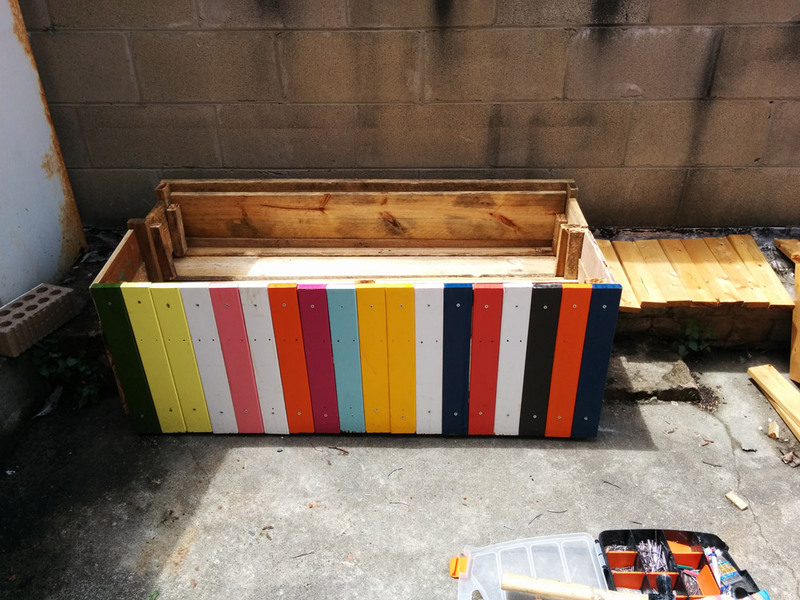 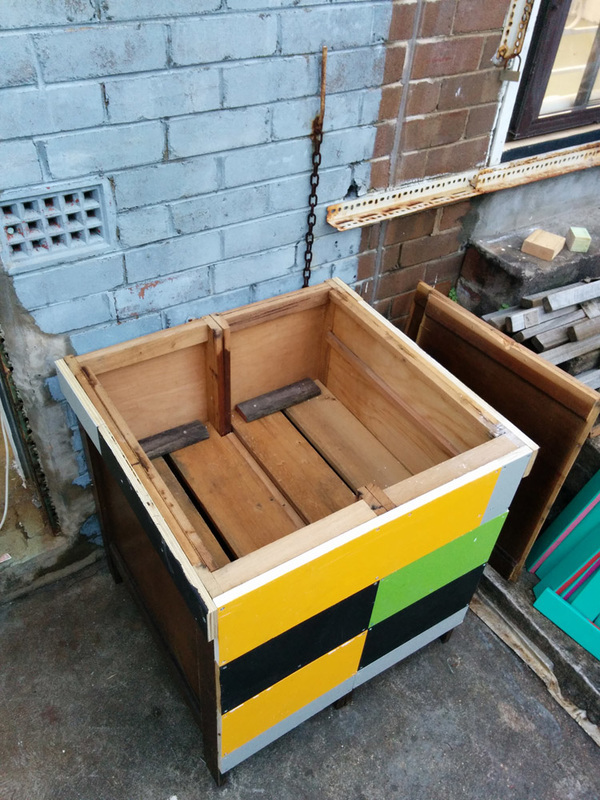 All wood for this project will be recycled from factories around Marrickville while other specific material I will be looking for donations or relying on purchasing from Reverse Garbage and The Bower. Francesca Mataraga has donated old artworks which will provide all the wood for the front of the veggie boxes and cladding for the shed. Sourcing material from recycling to up-cycle is a relatively new aspect of my practice but it is an important part of my domestic environment and it only makes sense that this then flows over into my work. 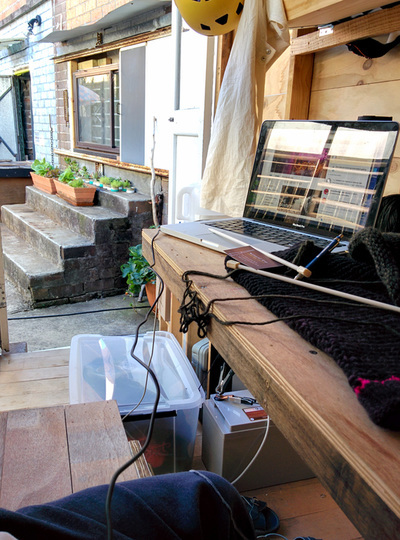 Girl Shed III MOST weekend 48 hour live in performance. 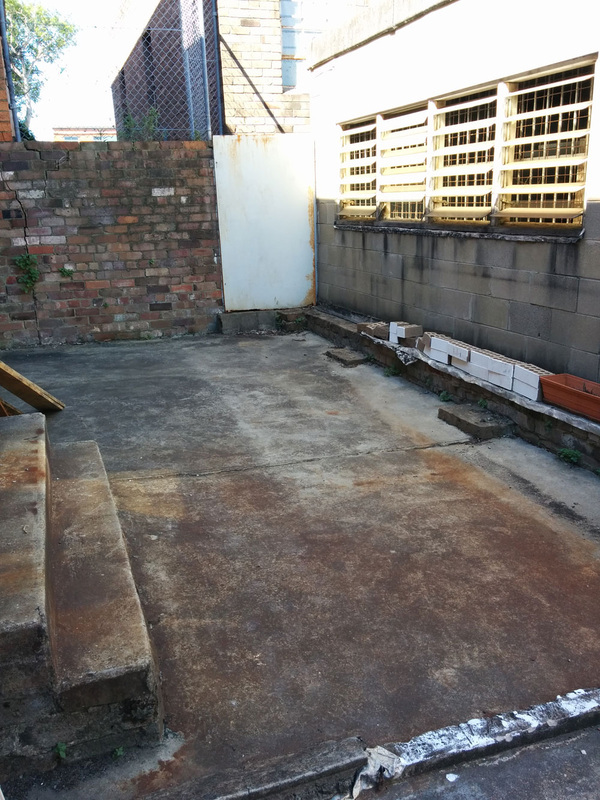 For the last year I have been undertaking an artist residency in the small concrete yard at the back of Airspace Projects. 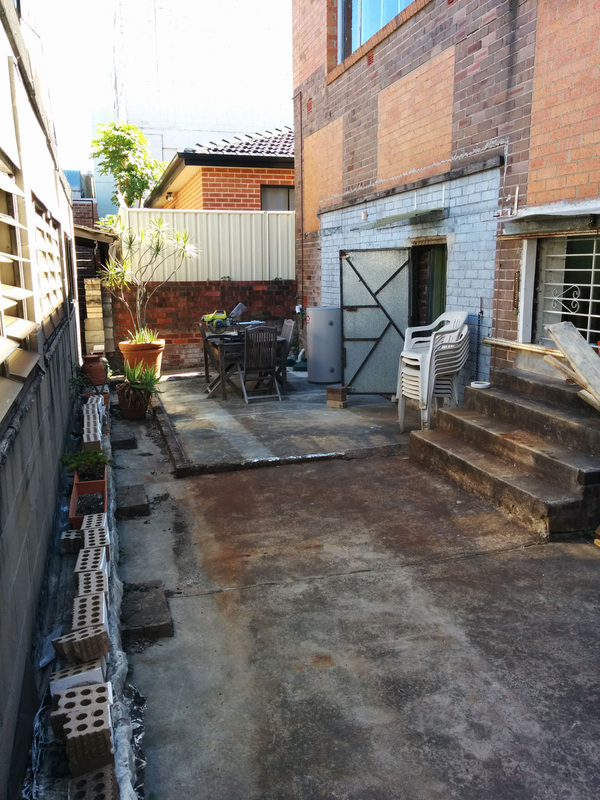 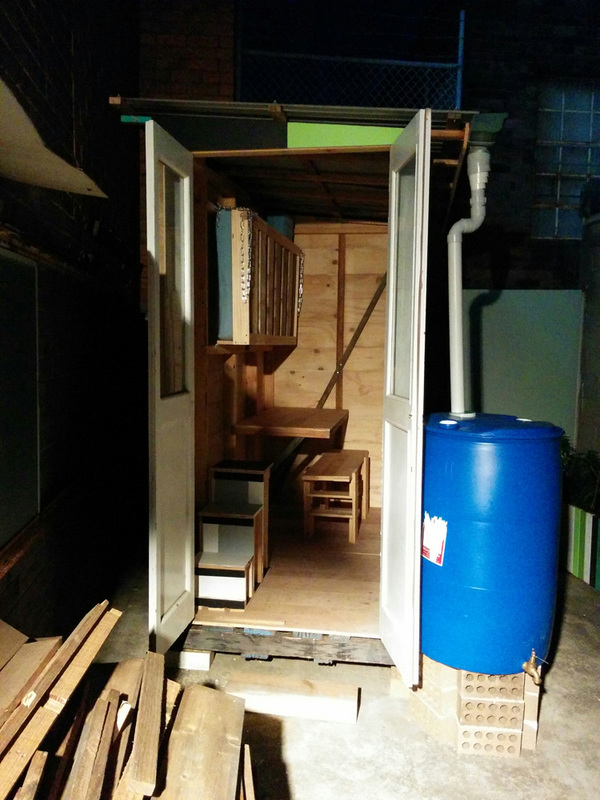 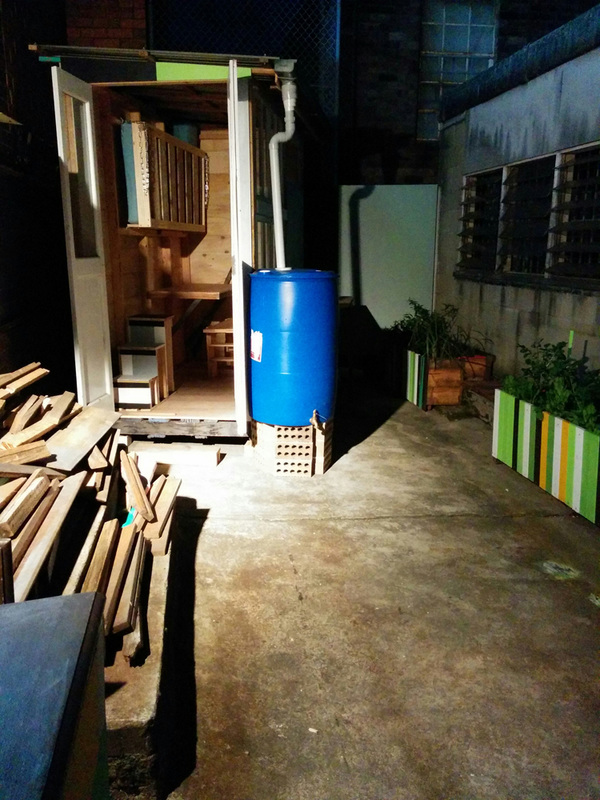 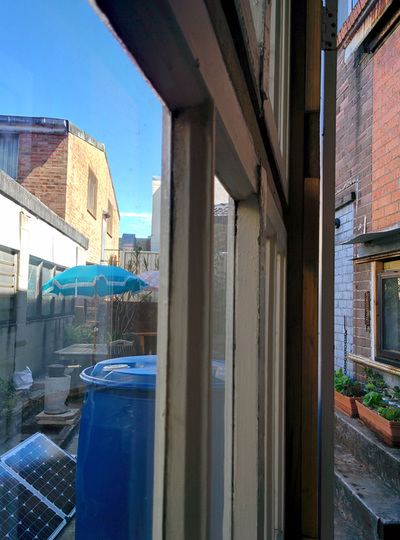 During this time I have converted this dead space into a sustainable living space/garden. 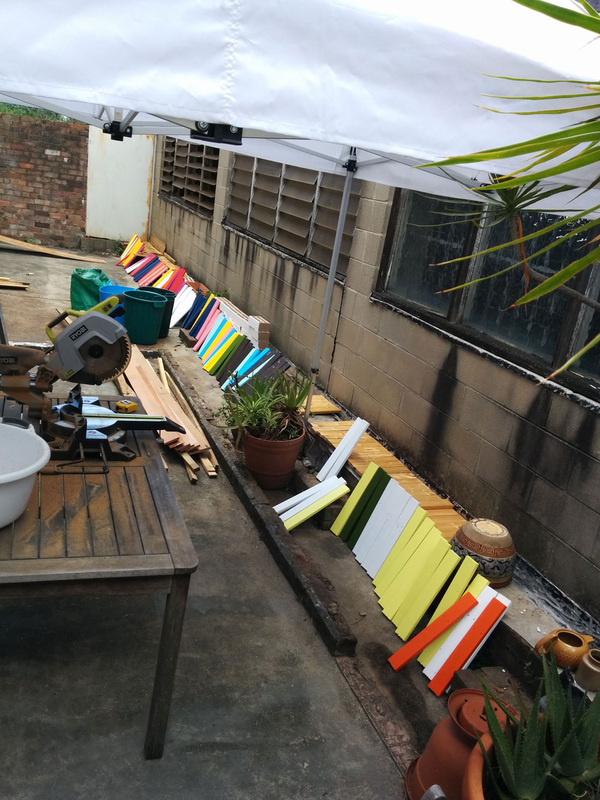 Over the course of the MOST weekend I will be present for 48 hours living and and working sustainably on site.